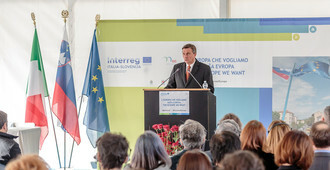 We are pleased to inform you that Central European Service for Cross-Border Initiatives (CESCI), Association of European Border Regions (AEBR), AEBR Task Force of External Borders, Institute of International Sociology of Gorizia (ISIG) and CESCI Balkans are organizing an International Conference and a Youth Leadership Forum entitled “EUSDR and EUSAIR youth for cross-border partnership and cohesion”. The Youth Leadership Forum will be held in Tivat, Montenegro from 30th to 31st May, 2018 within the framework of the SECCo2 project, supported by the Danube Strategic Project Fund and PA10 “Institutional Capacity” of the EU Strategy for the Danube Region. For more information check the link of the event.